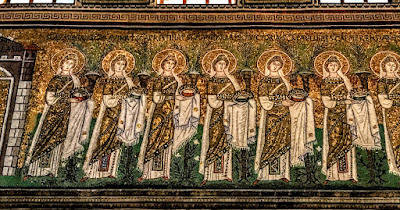 It was only later that Judith Herrin wondered why portraits of rulers of Byzantium who never visited Ravenna flank the approach to the altar in the Church of San Vitale. For her, that journey from Milan to Ravenna was the beginning of the path that led her to stand alongside John Julius Norwich and the late Steven Runciman as one of the finest Byzantine scholars of our day. I have taught a module on Byzantine studies and have visited Byzantine sites throughout Greece, Turkey, Sicily, Cyprus and Egypt. Perhaps, in all those visits, I was building up my anticipations for the joys awaiting me on an eventual visit to Ravenna. 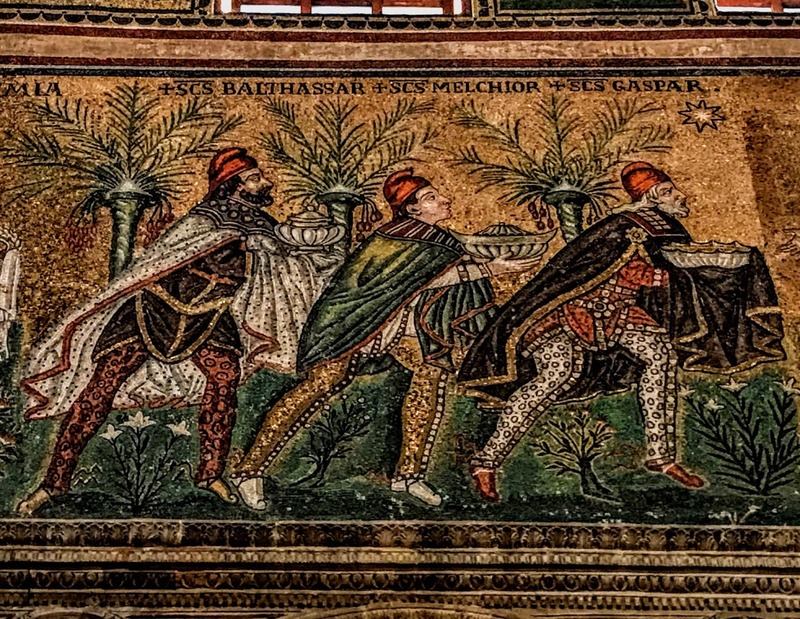 A few weeks before Christmas, two of us set off, not by car but by train, and not from Milan but from Bologna, to see Ravenna, those Byzantine mosaics and some of its eight Unesco World Heritage Sites. The Romans ignored Ravenna during their conquest of the Po Delta, and it was not until 89 BC that it was incorporated into the Roman political system. It was there that Julius Caesar gathered his forces in 49 BC before crossing the Rubicon. Today the city is landlocked, but Ravenna was an important Adriatic seaport until the early Middle Ages, and prospered under Roman rule. In the year 402, Emperor Honorius transferred the capital of the Western Roman Empire from Milan to Ravenna, which was easy to defend because it was surrounded by swamps and marshes yet had good connections by sea to the Eastern Roman Empire. 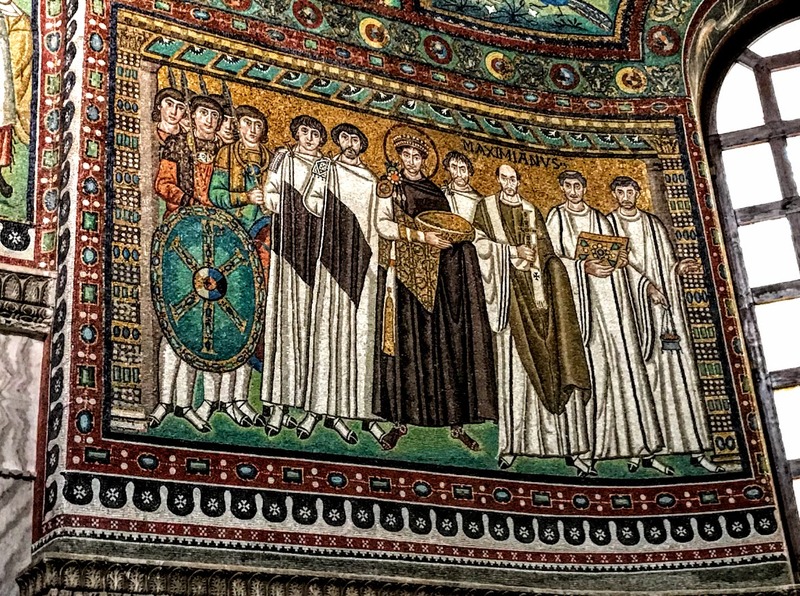 Alaric and the Visigoths bypassed Ravenna in 409 and went on to sack Rome in 410, taking Galla Placidia, the daughter of Emperor Theodosius I, as a hostage. When Galla Placidia eventually returned to Ravenna with her son, Emperor Valentinian III, and with the support of her nephew Theodosius II, Ravenna enjoyed a period of peace. 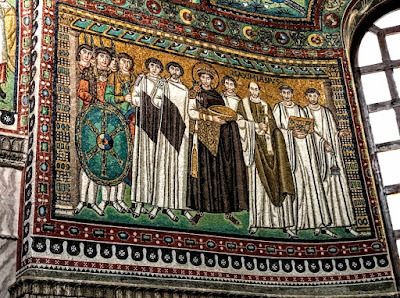 Ravenna remained the capital of the Western Roman Empire until that empire collapsed in 476. The Eastern Emperor Zeno then sent the Theoderic the Great to retake the Italian peninsula. Theoderic took Ravenna in 493 and it became the capital of the Ostrogothic Kingdom of Italy until 540. 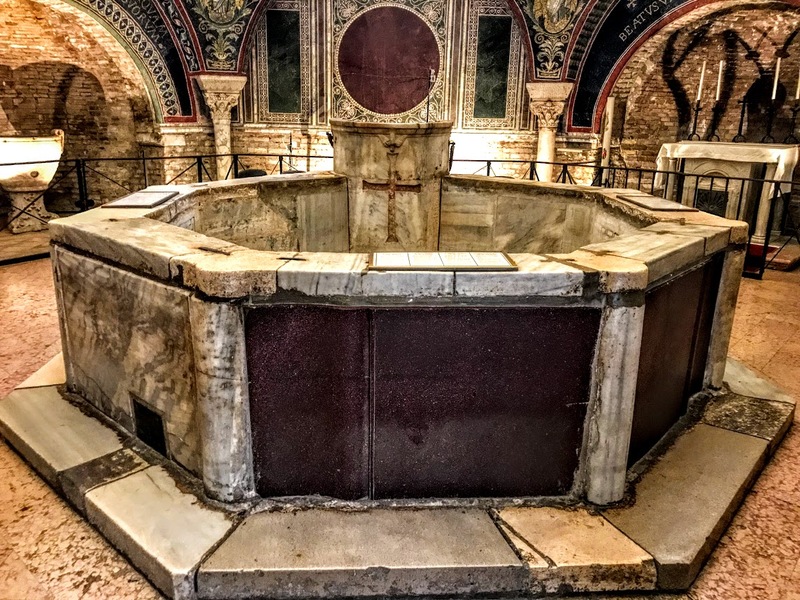 While Theoderic was in power, he built splendid buildings in and around Ravenna, including his palace church, Sant’Apollinare Nuovo, an Arian cathedral, now Santo Spirito, a Baptistry, and his own mausoleum outside the city walls. Theoderic died in 526, and in 540 the Byzantine Empire recaptured Ravenna, which became the seat of Byzantine government in Italy. 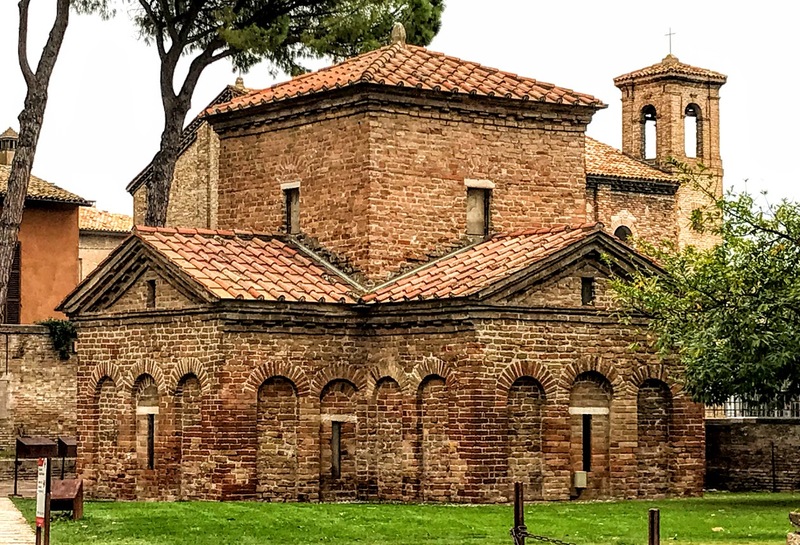 Ravenna’s bishops embarked on a new building programme that included the Basilica of San Vitale and the Basilica of Sant’Apollinare in Classe. Under Byzantine rule, the Archbishop of Ravenna enjoyed autonomy from Rome, and held second place in Italy after the Pope. Later, the city was the centre of the Byzantine Exarchate of Ravenna until the invasion of the Lombards in 751, and it then became the seat of the Kingdom of the Lombards. 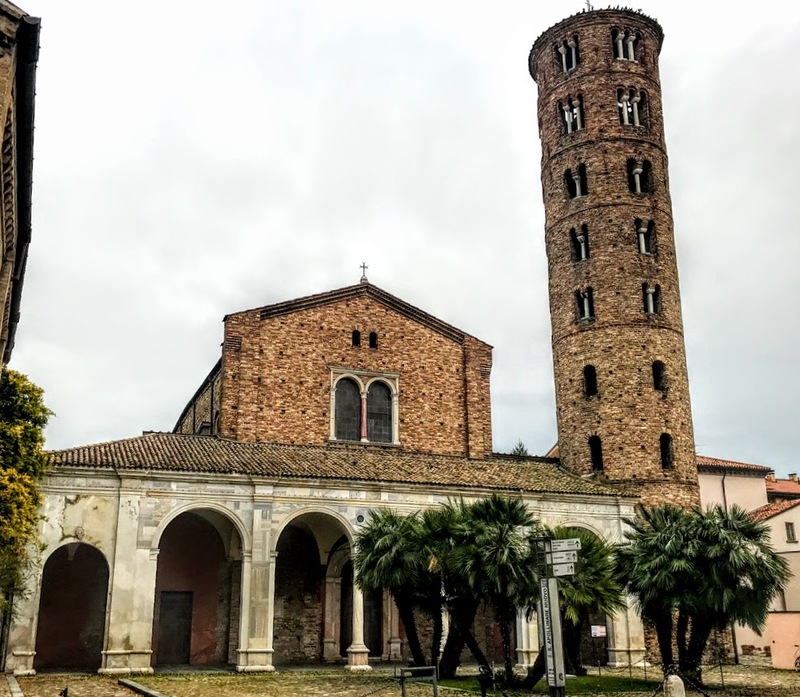 Byzantine rule came to an end when Ravenna was captured by the Lombards, and gradually the city and the church in Ravenna came under the direct authority of the Popes. 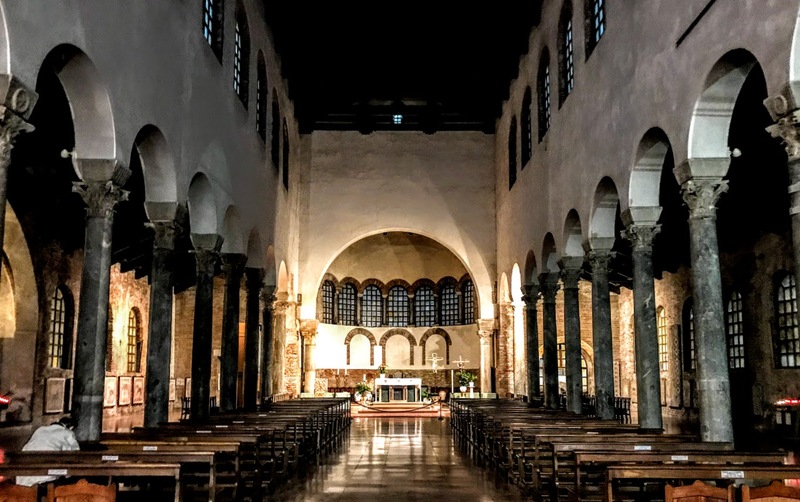 In a bewildering act of singular vandalism, Pope Adrian I allowed Charlemagne to take away from Ravenna anything that he liked, and an unknown number of columns, mosaics, statues and other items were pillaged and taken to Aachen. 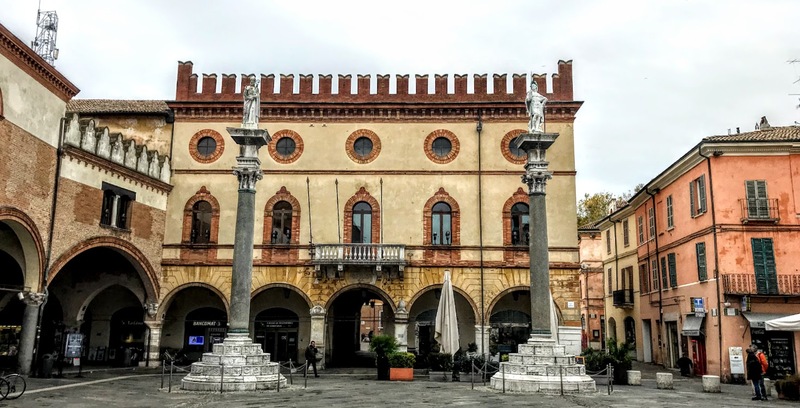 Ravenna is a pleasant town in the Emilian-Romagna region of Italy, with pleasant narrow streets, cobbled piazza, and fine buildings and shops. But most visitors arrive to see the mosaics, which date from the years of Roman and Byzantine rule. 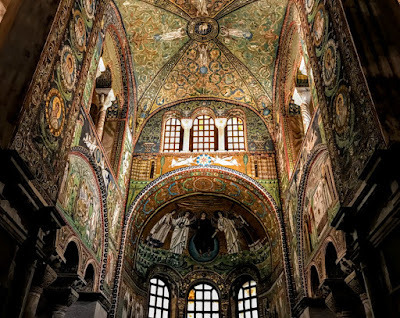 In all, eight early Christian monuments and buildings in Ravenna are listed by Unesco as World Heritage sites. 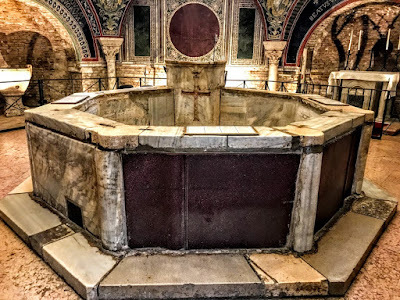 The Orthodox Baptistry, also known as the Neonian Baptistry, is Ravenna’s oldest monument, and was built in the fifth century near the remains of a Roman bathhouse and. It is named after the bishop who commissioned its decoration, which includes a beautiful mosaic depicting the Baptism of Christ. Beside it, on the Piazza Duomo, stand the cathedral, Archiepiscopal Museum, and the tiny Chapel of Saint Andrew, often missed by visitors. The fifth century Arian Baptistry has a cupola with a mosaic showing the Apostles ringed around a centrepiece depicting the Baptism of Christ. The Basilica of Sant’Apollinare Nuovo, built in the sixth century, is named after Ravenna’s first bishop. The walls of the church have two rows showing processions of martyrs and virgins bearing gifts for the Christ Child and the Virgin Mary. They include the Magi, with an early example of them being shown as three in number and named as Caspar, Melchior and Balthasar. 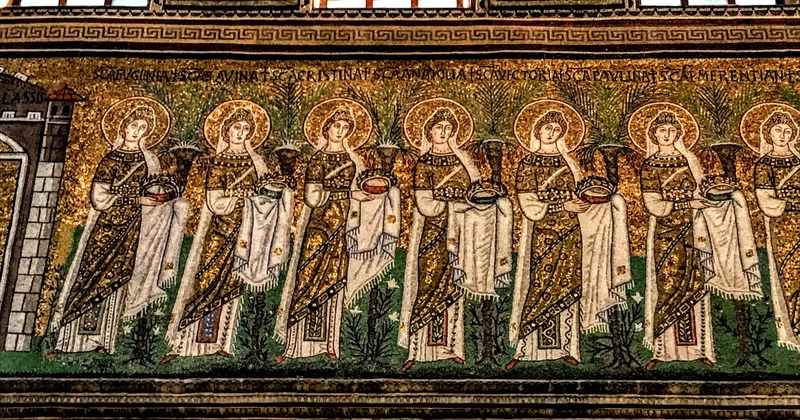 The mosaics in the apse of the Basilica of San Vitale date from 526-547, and show Christ, San Vitale receiving a martyr’s crown, two angels and Bishop Ecclesius, who started building this octagonal church, and priests and members of the Imperial Court of the Emperor Justinian, who reigned in 527-565. He was an important lawgiver and one of the most powerful Byzantine emperors. The courtiers depicted in this mosaic include Belisarius, the general who won back much of Italy from the Goths, but the only courtier or cleric named is Archbishop Maximian of Ravenna. 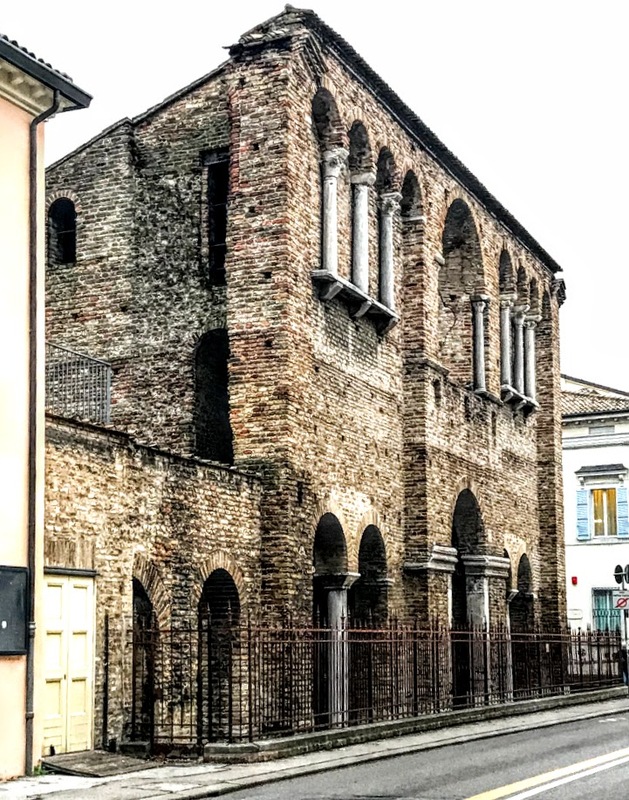 Beside the Basilica of San Vitale, the earlier Mausoleum of Galla Placidia was begun in 430. But this exquisite, cross-shaped building was never the burial place of the wife of the barbarian emperor. 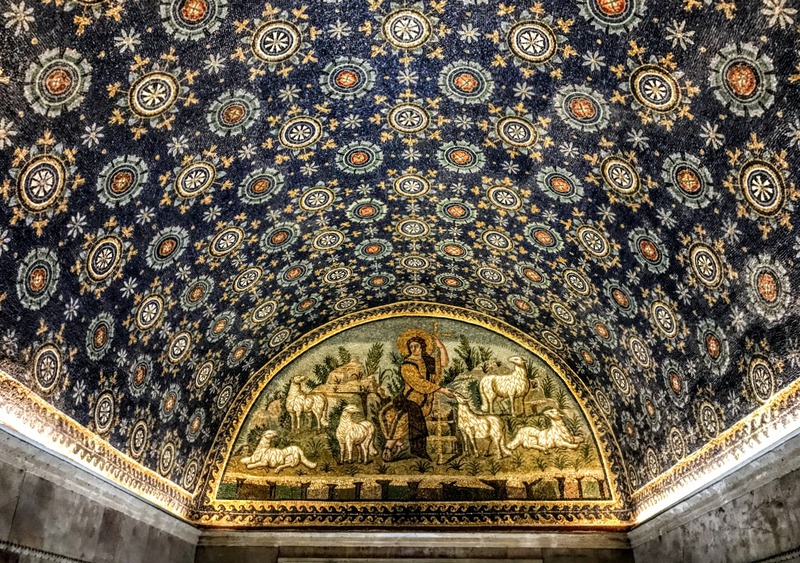 One of the best-known mosaics adorning the tiny mausoleum shows Christ as the Good Shepherd. 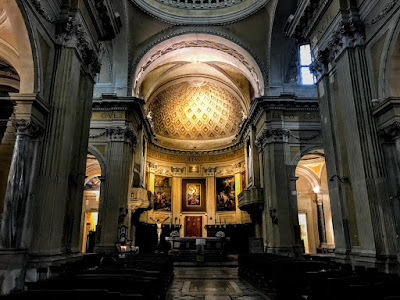 It was a short visit and I did not get to the Basilica of Sant’Apollinare south of Ravenna, in Classe. This basilica was built in the early sixth century by Bishop Ursicinus and funded and adorned the Greek banker Julianus Argentarius. It was built beside a Christian cemetery, and possibly on top of a previous pagan one, as some of the ancient tombstones were reused in its building. The basilica was consecrated in 549 by Archbishop Maximian and dedicated to Saint Apollinaris, the first bishop of Ravenna and Classe. 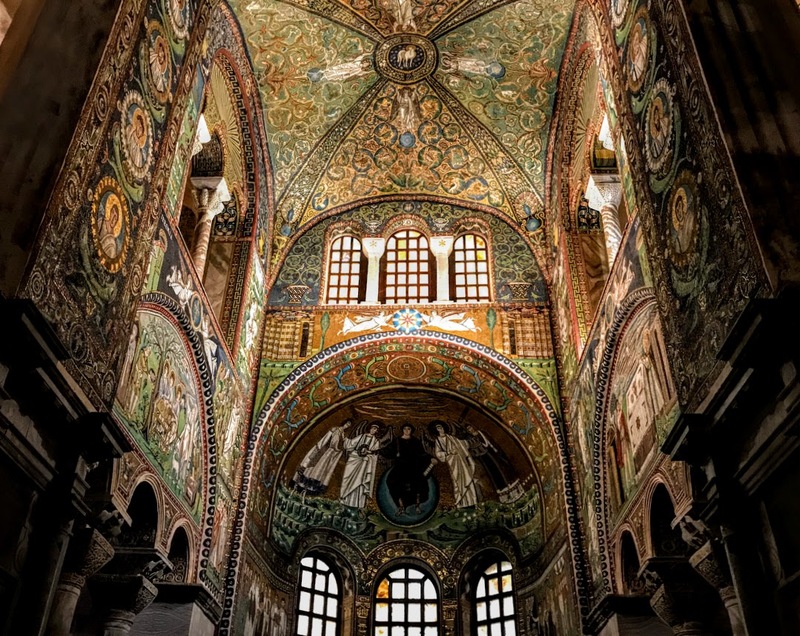 It is a contemporary of the Basilica of San Vitale in Ravenna. 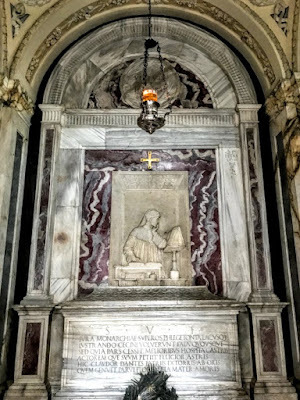 In 856, the saint’s relics were moved from the Basilica of Sant’Apollinare in Classe to the Basilica of Sant’Apollinare Nuovo in Ravenna. I also missed the Mausoleum of Theoderic, just outside Ravenna, and built by the emperor in 520 as his future tomb. However, the significance of the mausoleum lies in its Gothic style and decoration, which owe nothing to Roman or Byzantine art. But I visited other sites in Ravenna, including the Church of Saint John the Evangelist, built in the fifth century by Galla Placidia after she survived a storm at sea, and restored after the World War II bombings; and the Palace of Theoderic, which was, in fact, the entrance to the former church of San Salvatore, although it has mosaics from the actual palace of the Ostrogoth king. In the 14th century, Dante’s wanderings around Italy after his exile from Florence eventually brought him to Ravenna. He lived there from 1318, and the city is mentioned in Canto V in Dante’s Inferno. His sepulchre was rebuilt in 1780, and a lamp there is kept alight with oil given by the city of Florence. Lord Byron lived in Ravenna in 1819-1821, when he worked on Don Juan and wrote his Ravenna Diary. 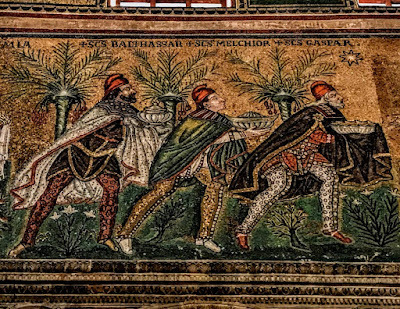 Oscar Wilde visited Ravenna in 1878, but does not refer to the mosaics in his poem Ravenna. When WB Yeats spent Christmas with Wilde in 1888, Wilde shared his experiences. 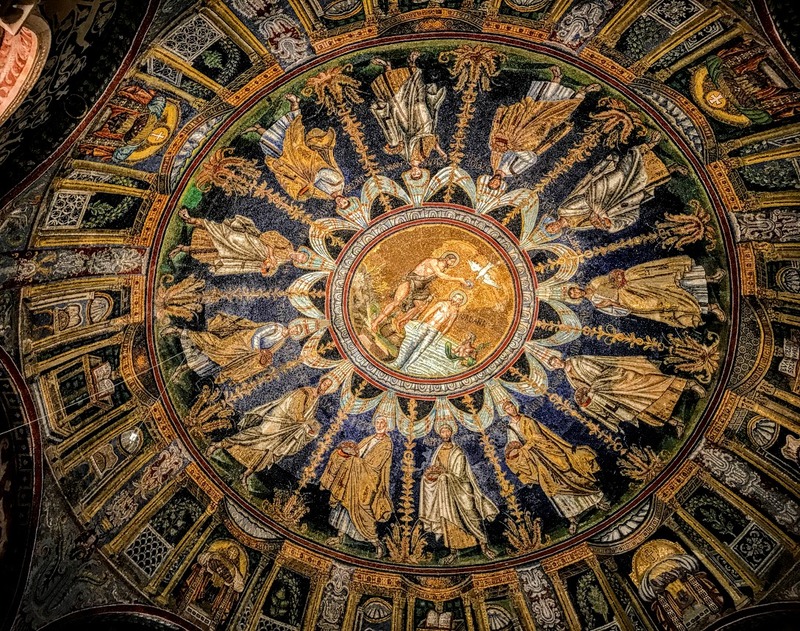 It is not surprising, then, that Ravenna, and not Istanbul (Constantinople), inspired Yeats and his vision of Byzantium. The American literary critic Professor Helen Vendler of Harvard suggests the ‘gold mosaic of a wall’ and later references in the poem to ‘Grecian goldsmiths’ who ‘make of hammered gold and gold enamelling to keep a drowsy Emperor awake’ were inspired by his memories of his visit to Ravenna over two decades earlier. Apart from short occupation by Venice (1527-1529), Ravenna was part of the Papal States until 1796, when it was annexed by France. It returned to the Papal States in 1814. Ravenna had become part of the modern state of Italy in 1861. Surprisingly, the city suffered very little damage during World War II, and today has a population of almost 160,000. This essay was first published in February 2018 in the ‘Church Review’ (Dublin and Glendalough) and the ‘Diocesan Magazine’ (Cashel, Ferns and Ossory).